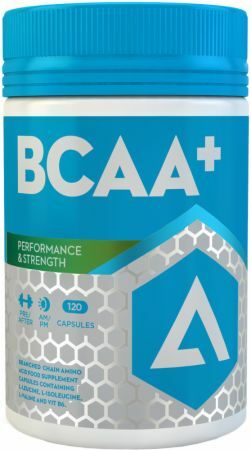 BCAA+ by Adapt Nutrition at Bodybuilding.com - Lowest Prices on BCAA+! For a limited time, buy 1 BCAA+, 120 Capsules & get 1 FREE! Ahh, and relax. You’ve just destroyed your workout, leaving your muscle fibres feeling like they’ve done ten rounds with Tyson (the boxer, or your neighbour’s Rottweiler, whichever’s hardest). Well now your three best mates are here to help you get back on your feet! The three "Branched-Chain" Amino Acids are Leucine, Isoleucine and Valine. They are known as essential amino acids because they body cannot synthesize them which means they must be acquired through a well-balanced diet. 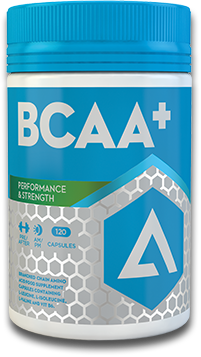 BCAA+ supplies 3 grams of these essential amino acids in a highly effective ratio of 2:1:1 in every serving. Adapt Nutrition goes one better. We also added Vitamin B6 which provides additional benefits to get you through your day1,2,3. 1.Vitamin B6 contributes to normal energy-yielding metabolism. 3. Vitamin B6 contributes to normal protein and glycogen metabolism. No BCAA + Reviews Found. L-Leucine, L-Isoleucine, L-Valine, Microcrystalline Cellulose, Brown Rice Flour, Magnesium Stearate, Pyrodoxine Hydrochloride. Capsules are certified Halal and Kosher and meet all requirements of current EP and USP. 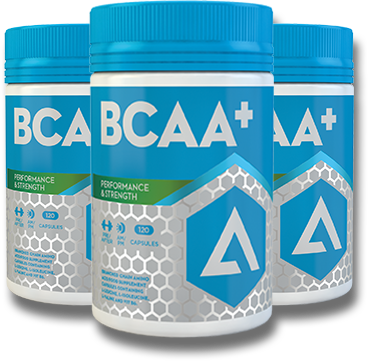 Directions For BCAA +: 6 capsules before training with Adapt Nutrition Pre-Train and another 6 capsules immediately after training. Can also be used in-between meals on non-training days. Warnings: NOTE: This product is a food supplement and should be used in conjunction with food as part of a balanced, varied diet and healthy lifestyle. Those who are pregnant, nursing or taking medication are advised to consult a physician before use. This product is not intended for use by people under the age of 18. This product is not designed to prevent or cure any illness or ailment. May contain traces of milk, gluten and nuts. Do not exceed recommended daily dose. Keep out of reach of young children. Capsules are certified Halal and Kosher and meet all requirements of current EP and USP. For Best Before End see rear. Store in a cool, dry place.